James Marshal 'Jimi' Hendrix requires very little in the way of an introduction. Some major points should still be mentioned here. He only had a musical career of roughly four years, and yet he's still a massive influence on musicians today. Just as a big lot of white boys from the United Kingdom were becoming international superstars by co-opting the sounds and styles of poor black blues musicians in the USA, in steps Jimi Hendrix, and shows them all just exactly who the real blues-rock master is. 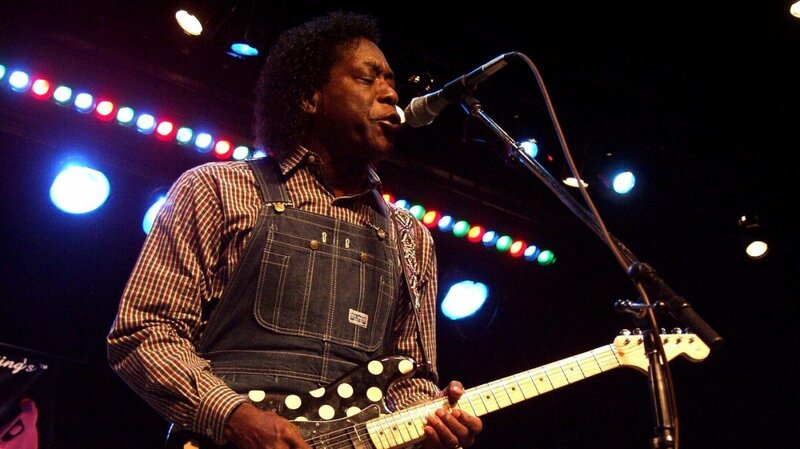 He'd played gigs on the Chitlin' circuit, and from there he got a job with the greatness of the Isley Brothers, Little Richard, and Curtis Knight. These were good jobs, but Jimi was a backing guitarist. He was playing parts already written. There wasn't opportunity for him to stretch out and shine. A trip to England and he got to show some folks what he could do. He recorded three songs which made the British pop charts, and two Brits joined with him to form the Jimi Hendrix Experience. When he returned to the USA with his new band, and played the Monterey Pop Festival, he leapt into the public eyes of America. 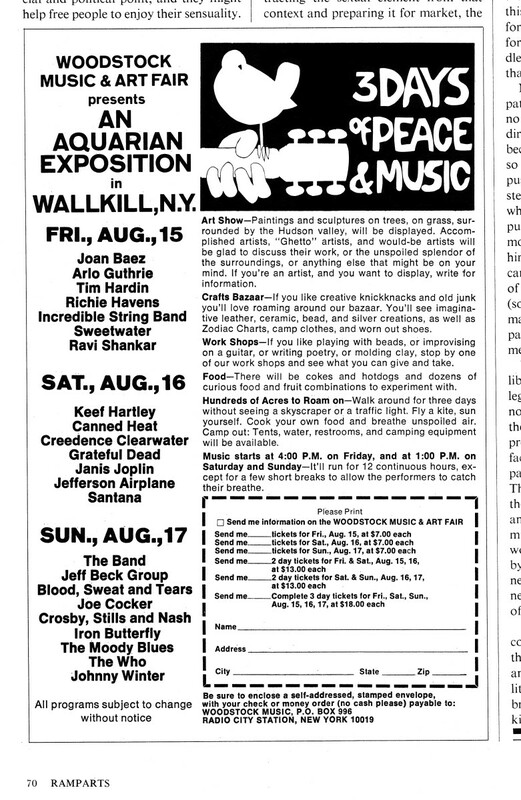 Two years later and Hendrix was the highest paid performer at Woodstock. That's impressive when you realize how much more of a track record some of the other performs had. Jimi could be counted on to put on one hell of a show, and so he did. Hendrix was more than just a wilder and black Eric Clapton. 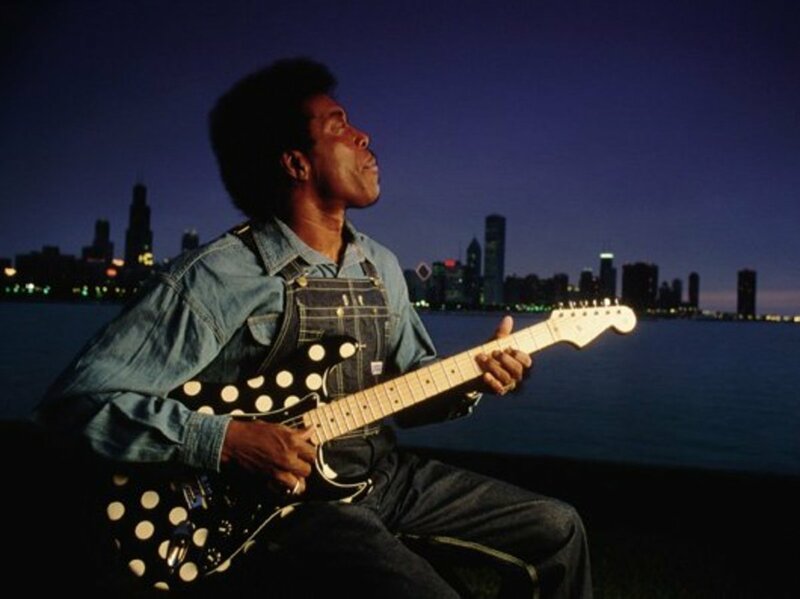 He was more than just an updated version of Buddy Guy. Chuck Berry may have been the original rock and roll guitar hero. Hendrix reclaimed that position for black men while he lived. He introduced things to heavy blues rock music which had not been present before. It was an amazing thing to incorporate amplifier feedback into your music, as if it had been planed that way all along. Hendrix did that. He did not use traditional barre chords. Instead he incorporated his thumb into the mix, and simulated a rhythm and lead guitarist playing together. Stereophonic sounds, wah wah peddles, and lyrics equal in literary value to what Bob Dylan was doing, and with master class heavy blues. That's the legacy of Jimi Hendrix. The Fender Stratocaster had been around for a decade before anyone in music had heard of Jimi Hendrix. The thing is, when Jimi played the Monterey Pop Festival, and burned his Strat at the end of the set, he became the most iconic black musician in America. The Stratocaster also became the coolest electric guitar in the world. 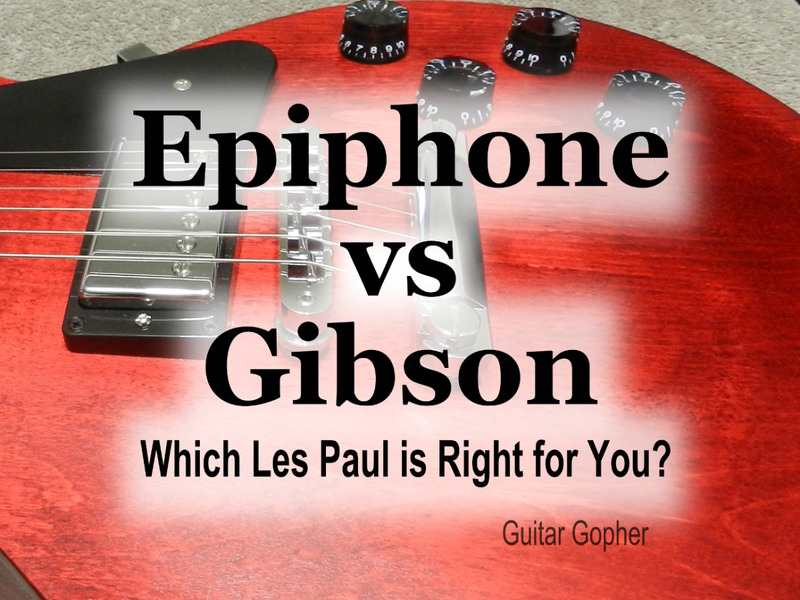 All the best known guitarist in the world of electric guitar were playing Gibson Les Paul guitars in the late 1960s. In comes Jimi Hendrix. He upstages them all with his heavy blues, and he's not interested in their trends or guitars. Why would he be? Jimi was then a more powerful and legitimate blues-man than any of them, and he played the Fender Stratocaster. 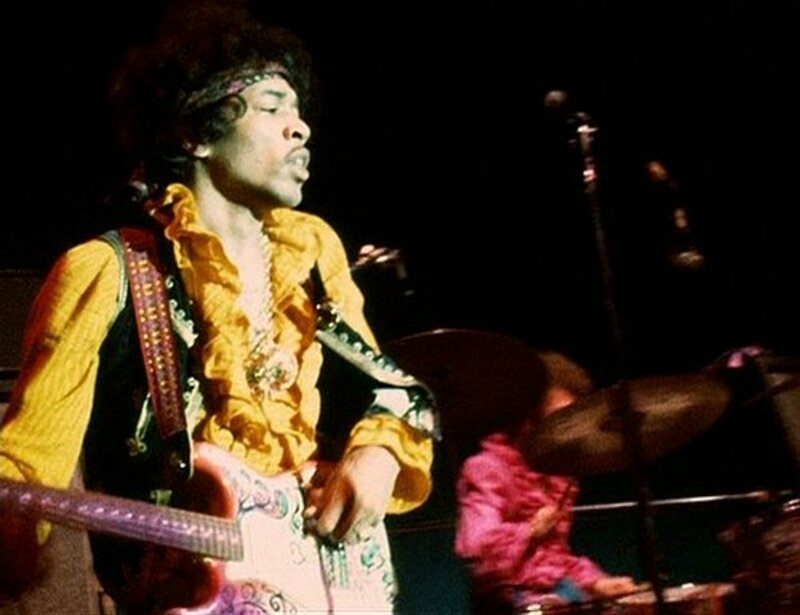 Hendrix got his first Strat in 1966, and he'd go through a lot of them in the next few years. He described the guitar as the most suitable model for the kind of music he played. He famously used right handed models which he simply restrung to play left handed. This changes the sound of a stratocaster because of the slant of the bridge pickup, his lowest string had a brighter sound while his highest string had a darker sound, which was the opposite of the Stratocaster's intended design. You can find lots of photos of Jimi playing other guitars. There's no debate about it though, he was a Fender Stratocaster man. Fender in 2017 makes two different Hendrix models. They represent the guitars Jimi played at the Monterey Pop Festival, and at Woodstock. We're going to take a good look at the both of them here. If you are left handed, then any right handed Strat is a Jimi Hendrix Strat. All you have to do is flip it upside down and re-string it, and change the nut. If you are right handed, than any left handed Strat you flip over and re-string accordingly is a Jimi Hendrix Strat. But our friends at Fender will produce things for us, and really, they often know what's best. The Fender Jimi Hendrix Stratocaster is made for all of us right handed persons who want that Hendrix look, but we also want the body right side up. The guitar is very plainly made after the Olympic white Stratocaster Mr. Jimi played at the beyond legendary Woodstock festival. If the bright and clean white isn't to your tastes, do not overly fret, you can get the guitar in a black finish. You can not help but notice the oversized headstock, and that it is flipped around backwards. This is done so that it looks like you're playing the guitar upside down, and because, again, Woodstock. Jimi played one of those over sized peghead Strats at Woodstock. What you may not notice, but you really really should, is the reverse slant of the bridge pickup. This is done so that you can truly emulate the Hendrix tone. 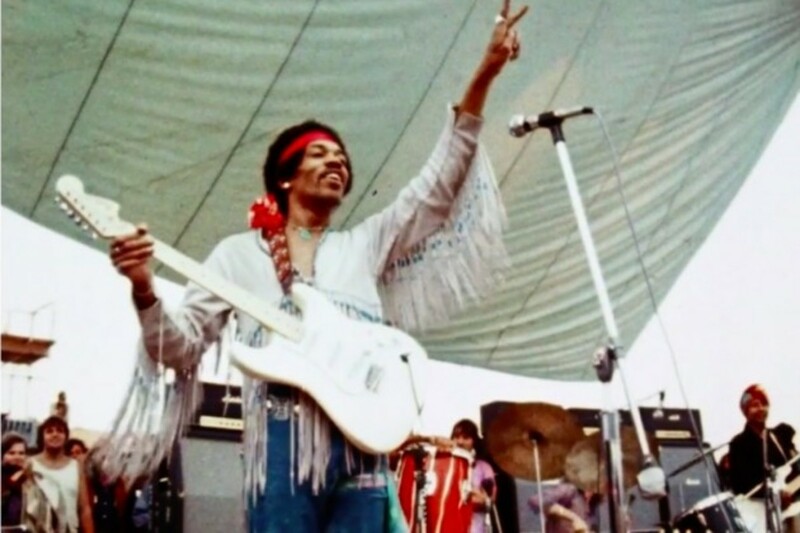 No, Jimi didn't live with his 5-way selector at the bridge pup setting, but when he did set it there, he got a tonal character from a Strat you simply can not get playing a regular right handed Strat right handed. These guitars, regardless of what color body you desire, they will all have a maple fingerboard. Maple fingerboards are thought to provide a little more brightness to the tone of a guitar. The fingerboard radius on these are always going to be 9.5". This is a versatile fingerboard. Jimi has been dead and gone for long years now. Examples of his signature have been captured for all time, and on the back of the reversed and large head stock of these guitars, is an example of Jimi Hendrix's signature. Then the neck plate, also on the backside of the guitar, there is an engraved likeness of Jimi Hendrix, from the shoulders up. This is a great guitar, and it doesn't matter if you even like Jimi Hendrix. Doesn't matter at all. Say you're a guy who plays jazz guitar, and you want something as versitile as a Strat, but you want one that sounds a bit different, and looks different too? Here you are, lad, and it costs under a thousand dollars. I've seen more social media posts about this guitar than one would ever think possible. Of course this guitar is entirely new. People seem to either absolutely love or hate it. In reality, it's just a Fender Stratocaster. It certainly has some features you don't see too often these days. The paint job is very much similar to the exact guitar Jimi burned on the stage of the Monterey Pop Festival. The paint job is one of the things folks seem to react to. Jimi's guitar had been done in nail polish. These have much better treatment than that. Like the other Jimi Hendrix Strat we discussed above, this guitar features Jimi's signature on the back of the head-stock, and an engraved image of Jimi on the neck plate. The Hendrix Monterey Strat is a limited run guitar. No, it isn't expensive, but there aren't so many being made available for sale. One of the major things which makes this guitar different is its fingerboard. The fingerboard is of Pau Ferro. It is a south American hardwood very similar to rosewood. Rosewoods, my friends, are increasingly hard to come by. I do not think you, as a player, would be able to tell the difference by feel or by sight. The Stevie Ray Vaughan Stratocaster has featured just such a fingerboard for many years. Then the fingerboard radius on this guitar is 7.25". This is a much more curved fingerboard than Fender's more typical 9.5" fingerboards. What's the difference? It's all purely a matter of personal preference. The more curvature on the fingerboard the more easily it is, generally speaking, to play chords. But wasn't Jimi Hendrix a blazing soloist? You bet he was. He didn't seem to have any trouble either way though. This is a recreation of the guitar Jimi played with his teeth, behind his back, between his legs. Demolished during the fiery consummation of his set, Jimi's axe survived only on film and in photos. You can own one for under a thousand bucks, but only if you can find it. This guitar debuted in June 2017, and that's 50 years after, and in commemoration, of the great Hendrix show at the Monterey Pop Festival. 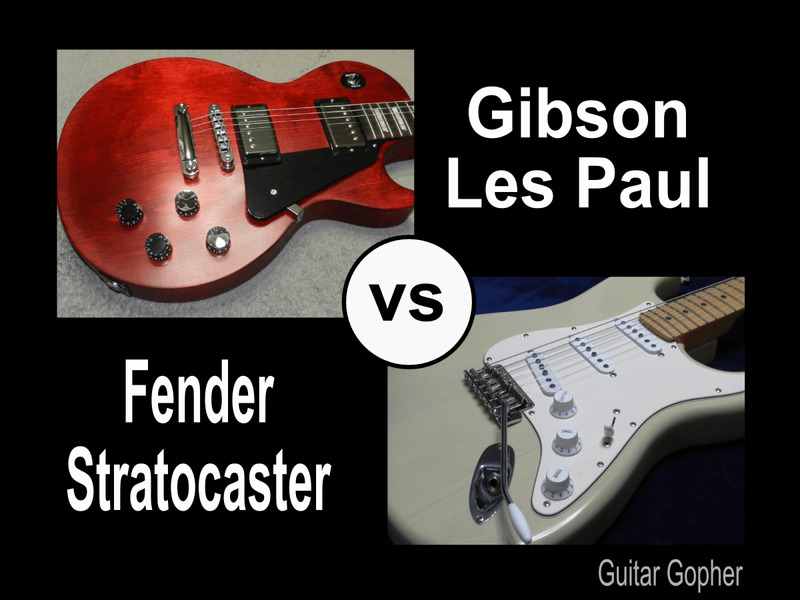 How would one go about choosing between the two great Fender Jimi Hendrix Strats? These are both fabulous guitars for persons to have, even were you to have never heard of Jimi Hendrix. Yeah, I realize it would be hard to have not heard of him. The point is these are great guitars, and neither one of them is priced over a thousand dollars. These guitars are both made in Mexico. Say what you will about the value of made in the USA, but Fender Mexican production is like something sent from heaven for those of us who're not so blessed economically. There is much one can read online about how great Fender's Mexican guitars are. Now clearly, if you are a collector, the Monterey guitar is what you want. We've no indication it'll ever be a production instrument. At present it is a one of batch of guitars to commemorate the famous show 50 years ago. The Monterey guitar does not have the reversed angle of the bridge pickup. So essentially, it's just a right handed Strat with a special paint job, and a few oddities. We need to talk more about fretboard radius. The 7.25" fretboard or fingerboard radius of the Monterey guitar represents a lot more curvature on a fingerboard than a modern player would be used to. The 7.25" would provide the rhythm player more comfort. Fender's standard for many years is a 9.5" fingerboard radius. This is still curved for comfortable chording, but is thought by most to also provide great ease for single note soloing. I should tell you straight up that the great soloists of later years often get a much flatter fretboard than 9.5". In the end it will always come down to a individual's own judgement and preference. Again I have to say if you really want to emulate the sound of Jimi Hendrix, and you are right handed, then you want the standard Jimi Hendrix Strat because it has the reverse angle on the bridge pickup. If you're a left handed player - hey, it's great for you, any right handed Stratocaster can be your Jimi Hendrix Strat. Thanks for reading. I simply adore guitars and distinct models of guitars and always have. If I were a wealthy man, I'd have hundreds of guitars. I am sure both guitars are well built , and have excellent tone . Almost all Fenders are nowadays . As for sounding like Jimi ? Well , only if you are willing to practice 24/7/365 , and have the imagination to play out of the box ! But they are very cool guitars ! !